Chinese mobile manufacturer Xiaomi has proved its versatility once again by launching a foldable electric bike at a cheap price. The foldable bike launched under Xiaomi’s QiCycle brand has features that are perfect as a city life commutator. Xiaomi has not confined itself with just mobile phones but have manufactured a plethora of devices including air purifiers, wearables, rice cookers, and kettles. The electric bike is capable of assisting the pedaling of riders for 45 KM on a single charge. The QiCycle has three speed gear and a pool of utility features like companion app that logs your distance, speed, GPS location, calorie-meter and many more. The bike can be folded to a compact package and the package weighs approximately 14.5 Kg. The front and rear lights are built into its frame. It’s not clear if Xiaomi has itself manufactured the foldable bike. 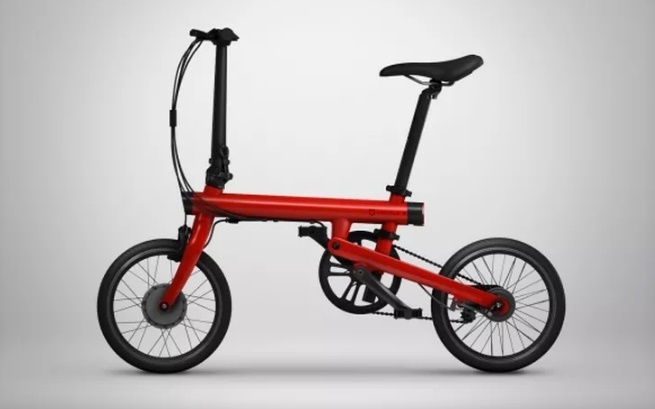 Previously it launched a bike which was not foldable but cost around $3,000. It was called QiCycle R1. Xiaomi has recently invested in a startup called iRiding. So, there is a possibility that the bike has been made by them. The new bike costs 2,999 yuan (approx $455). Even though the bike lacks high end software configuration like other electric bikes, it’s still a very compact and user friendly commutator.